Are you ready to revitalise your bathroom? Whether you have recently returned from a holiday, visited a newly built or renovated friend’s house, or simply tired of your existing, run-down bathroom, harness those emotions and start thinking about how to transform your space. 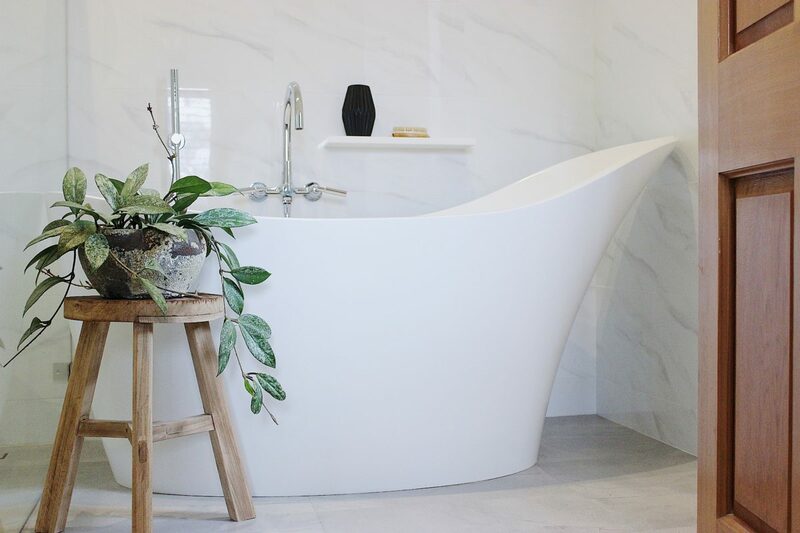 After basking in a luxurious hotel in Bali, the South West or elsewhere in Australia, no doubt you have enjoyed the comfort of a beautiful, deep bath, stylish basins and quality tapware. If you want to recreate some of that luxury and relaxing holiday vibe in your own home, here are a few suggestions to remodel your bathroom. For a contemporary, streamlined bathroom decor, start with a basic theme such as crisp white, timber tones, or concrete grey. Be true to your own style and work with your existing home decor. 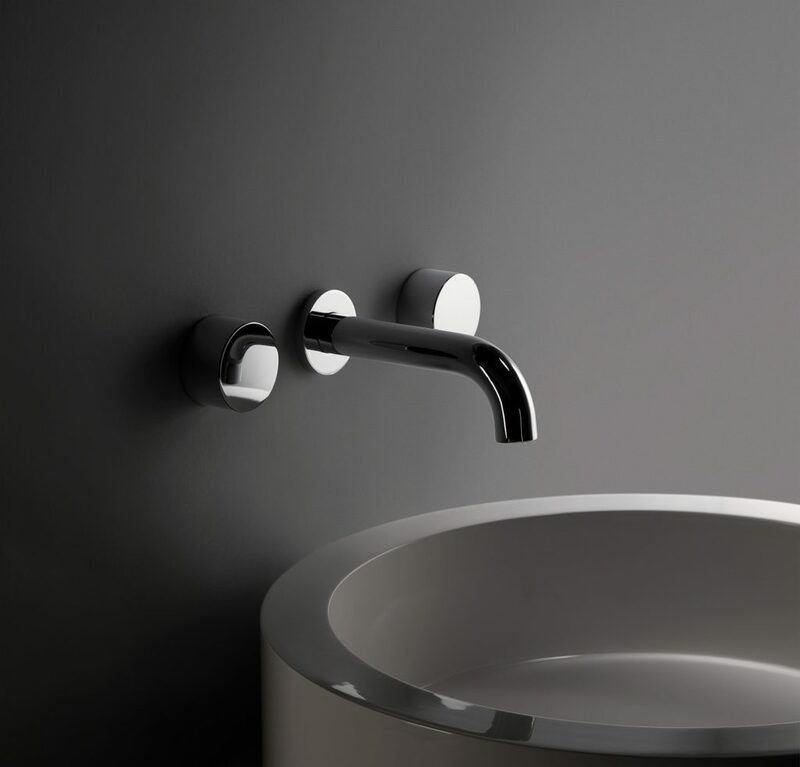 While chrome is the most popular finish for tapware and accessories, brushed nickel, matte black and even a weathered brass are great choices to achieve a contemporary design. Whatever your tapware finish, choose a reputable brand because the quality of product and finish over time will be significantly better than cheaper alternatives. It is generally a good idea to go for wall-hung options for your vanity and cabinetry. This not only gives a more streamlined look overall, but also creates more usable space and helps with cleaning. If you do not want a wall-hung vanity, choose an undermount basin to show off a stunning stone bench top, or go for a beautiful countertop basin as a feature piece. While there are some stylish back-to-wall toilet suites available that will no doubt be a vast improvement on your existing model, an inwall (concealed) cistern with a floorstanding or wall-hung pan is the ideal for a contemporary bathroom. While these do involve a bit more work, they are well-worth the effort. To go that extra step, introduce some creature comforts. A freestanding bath immediately sets the tone for luxury if you have the space. Or opt for a hydrotherapy spa bath for extra therapeutic and meditative benefits. A modular set of heated towel rails or a designer wall-mounted model will look great and keep towels dry and warm. 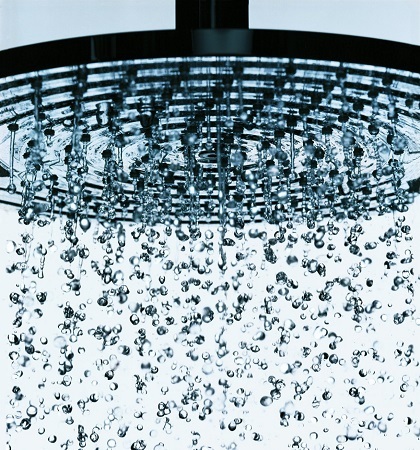 For the shower, if you cannot decide between a rail or overhead, go for both either as separate items, or a combined unit. Combine your new fittings with luxury tiles in a large format, either in white (gloss or matt depending on lighting and preference) or a subtle, textured design. Finally, consider a feature of mosaic tile to enhance the overall effect. Visit our showroom to discover more.